Restaurant Food Delivery: It’s a Food Fight! The last time I had a food fight was when I was at school when the canteen descended into chaos after my best friend catapulted a fresh garden pea with her spoon into the ear of the class bully. It was a perfect pre-emptive strike that quickly escalated into a rather tasty battle with our weapons of mass digestion! Roll on a few years (I won’t say how many) and there’s another food fight going on, and it’s a global battleground fueled by massive corporate investment, increasing sophisticated technology and rumbling tummies. Having spent years working with the best restaurants in Sydney I have seen firsthand how the food industry battleground has changed. Home delivery is the latest sector to experience extreme digital disruption through the rise of app-based services. I’m delighted that Polkadot PR is heavily involved with these changes as we manage the public relations for foodora, the global leader in premium food delivery service. But why is the competition so fierce? You can quickly see that there are billions of dollars at stake here, and where there’s cash, there’s competition! 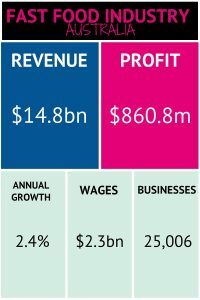 Because of the cash and potential growth in this market we are seeing some major investment in this industry, with at least AUD $1 billion being spent on mergers and acquisitions in 2015-2016 so that large international corporations can enter the Australian food fight. As part of this, German premium restaurant food delivery business foodora bought Australian restaurant delivery business Suppertime in September 2015. Suppertime was absorbed into the foodora brand, with foodora taking over its operations in Australia. While many of the delivery service providers are connecting with many different restaurants in order to offer variety, it’s not necessarily the best way to go for meeting customer needs and the quality standards that they expect. 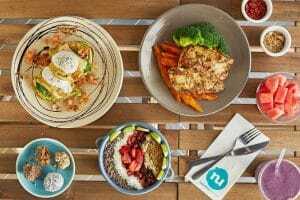 The one company not doing this is foodora, and because of this, they have developed a near-cult following amongst foodies and in the corporate world. They do still offer a wide variety of restaurants to order from, but each one is hand-picked through a rigorous selection (and tasting) process. foodora only work with restaurants that provide high-quality service and food. 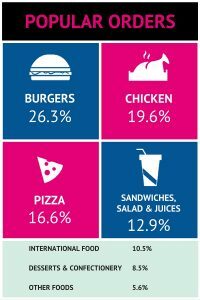 By partnering with foodora, restaurants are able to increase their presence and reach, all while avoiding the extra costs and labour of implementing their own delivery option. foodora is the global leader thanks to their high-quality selection of restaurants. They know what it means to take the edge off a late night in the office and spice up an otherwise average client lunch. 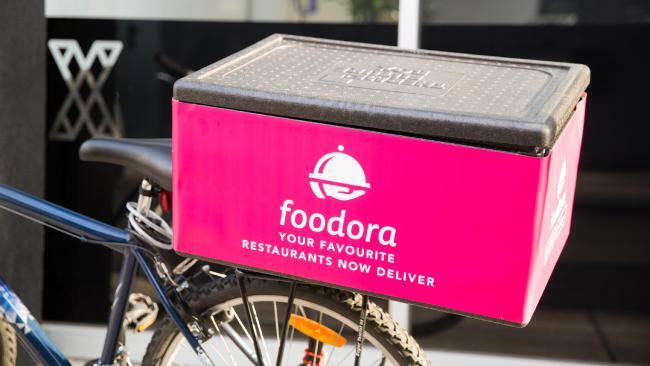 Corporate groups that have come to love foodora include accountants, lawyers, advertising agencies and technology firms. foodora was born in an urban environment, so navigating dense city centres is second nature to the team. In fact, they believe this heritage sets them apart from other delivery services when it comes to managing traffic and short-cuts. So no more cars, no more finding that sought after parking space. 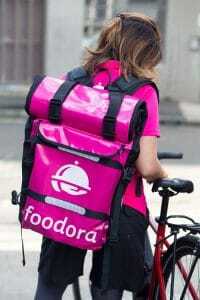 The foodora deliveries come by bicycle – saving time, and the environment. Yet another point of difference. The technology they use is awesome, once the order is submitted, the restaurant prepares the food while the rider makes their way to the restaurant. foodora ensure the customer is kept up to date with their order status in real-time, and even track the rider as they make the delivery, for those foodies desperate for their feast! Traditionally, we’ve seen food delivery using cars and scooters/mopeds. But with the rise of the new premium food delivery companies, there’s been a massive rise in deliveries from push bikes. This is because it’s so important that the food is delivered quickly, and in urban environments where vehicle congestion is awful, only bikes can cut through the traffic to make swift deliveries. I can see that with increasing demand for this service there will be competition for the best delivery riders in cities. I imagine that this will lead to greater incentives and higher wages for the riders. Cutting-edge technology will be a crucial battleground in this industry as it will enable smarter allocation of delivery drivers/riders (and probably robots and drones) to jobs in order to reduce delivery times. Whichever company can offer the fastest delivery times from the best restaurants will be the most appealing service for both customers and restaurants. 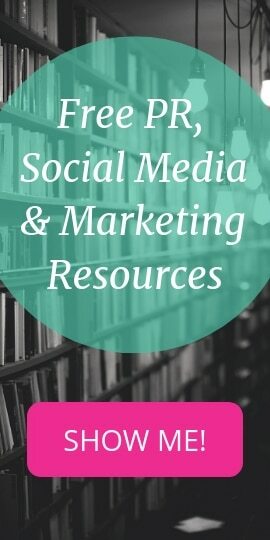 This is a very exciting industry showing rapid growth potential. Look out for new technologies, new entrants, massive investments and mergers and acquisitions. Obviously, you should also try out a foodora delivery too…go on…I’m sure you must be hungry after reading this.